Across the globe, there are sacred spots that are brimming with secrets that our human ancestors took to the grave with them – from the Pyramids of Giza in Egypt to Easter Island in Chile, and Angkor Wat in Cambodia. We unearth one of our favorite mythical worlds that is steeped in mystery and intrigue. We’ll never know the truth about the isolated island of Rapa Nui, but there are mystical and monumental structures, tales of cannibalism and bloodshed, and powerful spirits. Completely remote, the first flight to the island in 1951 from Chile took nearly 20 hours. Today you can get there in under six hours from Santiago de Chile. 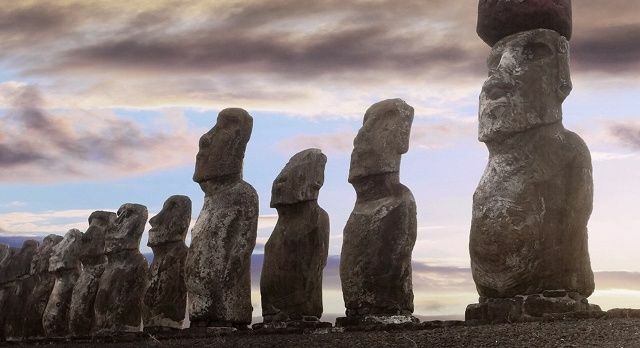 The island was first coined Easter Island due to the Dutch explorer who first encountered this mythical world on an Easter Sunday in 1722. 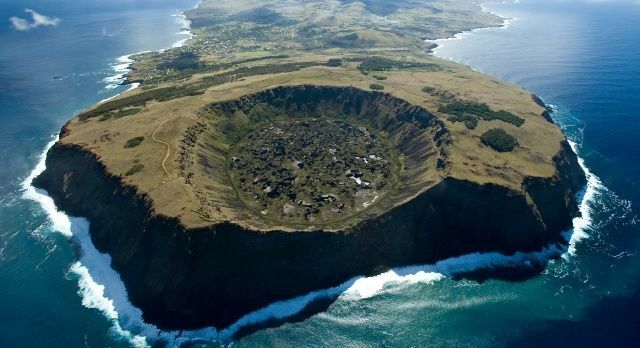 Yet Rapa Nui, or Land’s End, is believed to have been populated by the Polynesians between 700 to 1100 CE. The Polynesian Ariki (King) Hotu Matu’a, first settled in Rapa Nui after finding it fertile enough to produce their staple of yams from the now unknown land of Hiva. The most mythical element of the island is the Moais, these marvelous monolithic bodies crafted out of tuff stone (volcanic ash). Some say the Moais were already there when the king arrived, although we will never know if this is true. Built on the road to the sacred volcano on ceremonial ground, these structures may have existed to pay respect to the dead, who protected and provided for the living from their spirit world. Other theories suggest that these structures honor living chiefs, or shield against evil. The largest statue weighs 75 tonnes and stands tall at 10 meters. Today, the area is applauded as an UNESCO World Heritage site. The original island chiefs are thought to have had supernatural, psychic powers, known as the mana. Theorists say that it was this sorcery that helped transport the Moais, as the statues walked themselves to their final resting place. However, recent hypotheses suggests that these heavy sacred structures were moved with the help of wooden plinths and rollers. Around the 17th century, the Moai era was succeeded by a doctrine, just as unique, known as the Tangata manu, or birdman cult. This included annual competition with several rituals, including one in which the people would compete to take the first egg of the sooty tern bird (manu tara), which was considered good luck. Their creation god was Make-Make, who was depicted as a man with a bird’s head. Due to overpopulation, Peruvian slave raids, deforestation caused by the Polynesian rat, and new diseases spread by European missionaries, the population dwindled from a thriving 15,000- strong community down to just 111 people in 1877! Today, the island is shrouded in mystery – another one of stunning mythical worlds awaiting your exploration. 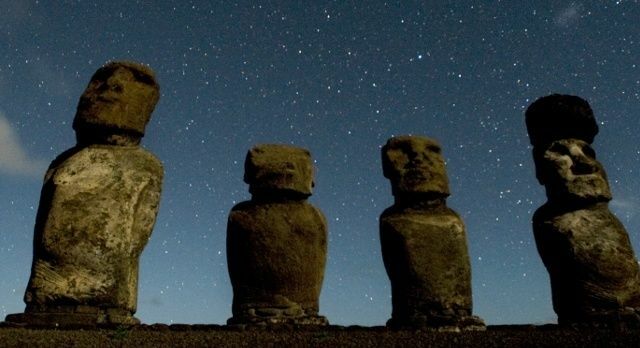 Unearth the mysteries on your tailor-made Easter Island tour!